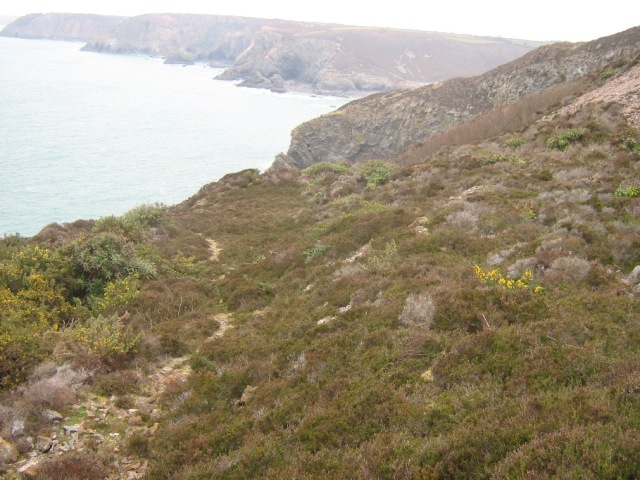 Heathland is an important habitat in Cornwall, often on coastal strips. These photos relate to three sites we have worked on: St Agnes and Perranporth Waste Water Treatment Works, for South West water, and Wheal Jane, for the Environment Agency. 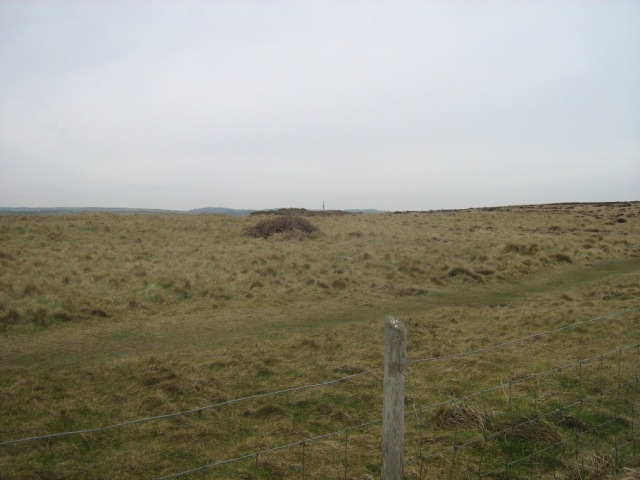 The South West Water sites required reinstatement, following installation of new pipelines as part of Operation Clean Sweep, to improve the sea water quality. 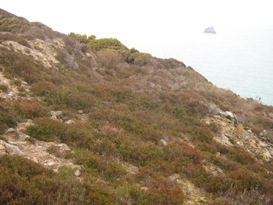 Wheal Jane, on the other hand was an opportunity to extend small areas of heather in a river valley. This was part of major landscaping undertaken in conjunction with the installation of treatment works to deal with mine waste, which had overflowed and polluted watercourses in 1993. 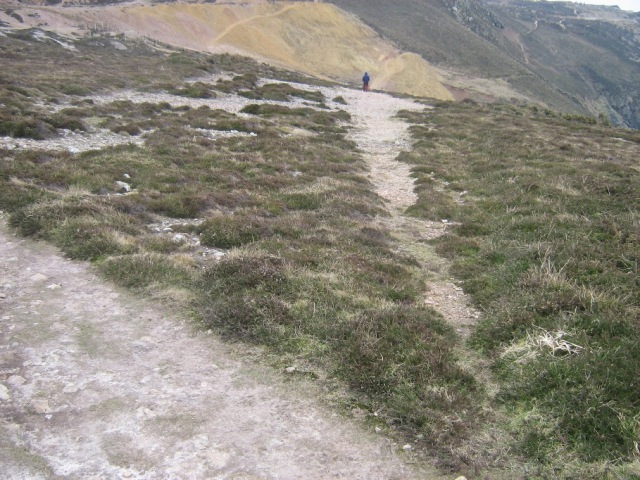 In all three cases adjacent heather was used as a source for seed collection. This can be either mechanically harvested, or hand collected in the autumn, before being shed onto the ground. 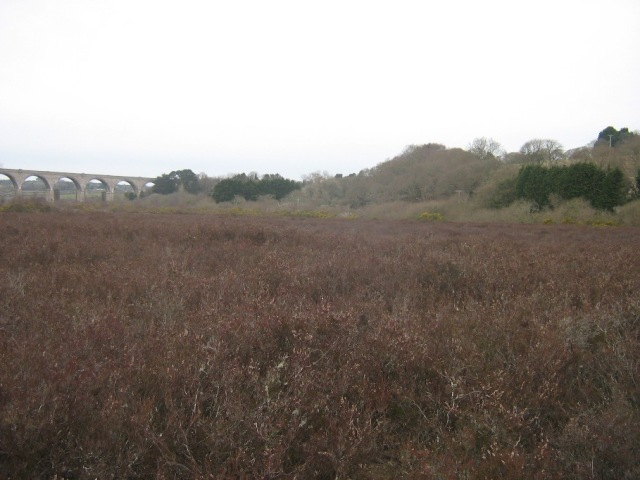 At Wheal Jane and St Agnes the seed was spread onto the site for restoration and left to germinate naturally. Best results were obtained on rougher ground, where seed nestling in hollows had a good microclimate. The moral here is to not let the excavator operator be too tidy! 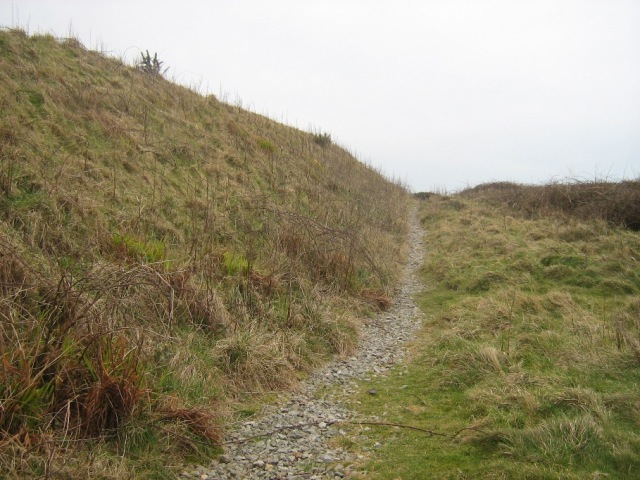 At Perranporth the reseeded areas were protected with a mix of special fertiliser and a tar based solution, sprayed over the site. While this worked well, it was an expensive solution, which we would only recommend in exceptional circumstances. 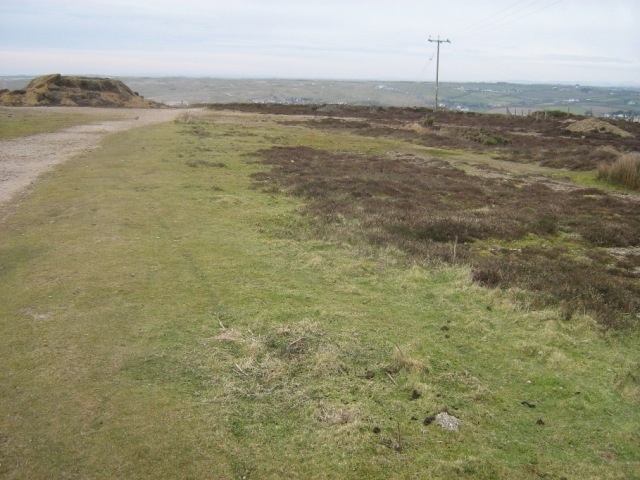 As well as heathland, an old meadow was reinstated at Perranporth, with harvested hay from that meadow providing the seed source. We also used a system of geotextiles and gabion mattresses to protect and revegetate a contaminated soil bund around the main treatment plant. We were less good with cameras in the pre-digital1990s, but included below are a number of photos taken on a recent tour. The real test is how well things have worked ten years down the line! The key to best practice is to plan well ahead, and minimise damage or disturbance. Local seed is always better than commercial nurseries, and providing ground conditions are left right, time and nature is a wonderful healer. Contract values: Wheal Jane £25,000, St Agnes £15,000, Perranporth £93,000.